It would be easy to outsource production but to make things right we knew we had to make them ourselves. So we built our own UK factory, hired our own team and took full responsibility for every step in the process. The net result is a level of workmanship and reliability that's hard to find anywhere else. Great machinists make great products. 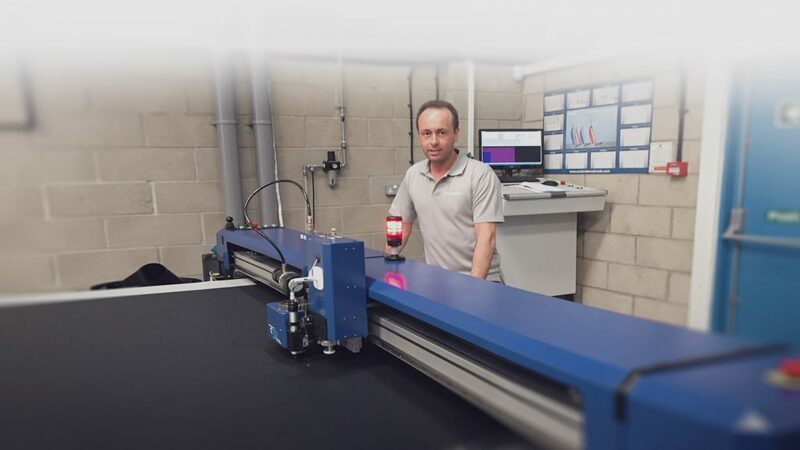 Our sewing team are the heart and soul of production at Leading Edge. From the UK to Latvia and Thailand we sourced the best talent we could find. Their hard work, attention to detail and teamwork make it possible for us to consistently deliver the highest standards in safety-critical manufacturing. Nothing is faster or more accurate than a CNC table for preparing intricate material pieces. 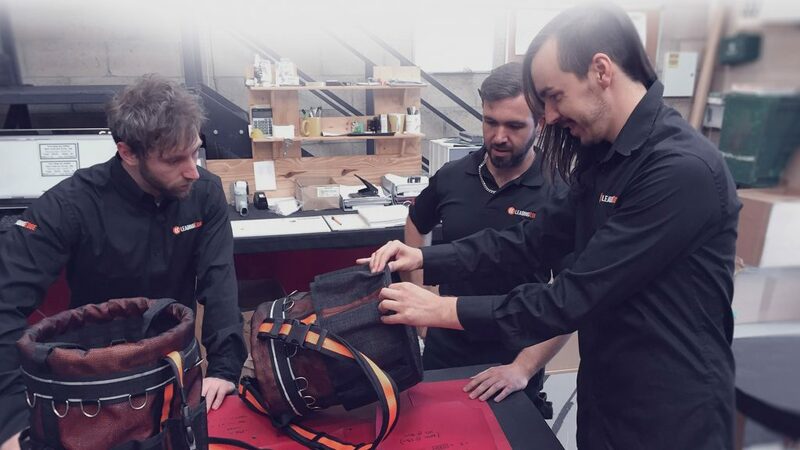 That's why we nest and laser cut the fabric components for tool bags and holsters. It means our sewing team have perfect base materials to work from every time — and it raises the overall quality of our products! Cut, shaped & crafted by hand. Many of our products feature high quality non-fabric materials and metal components. It’s all painstakingly constructed by hand. That might be more work for us, but in the end every item gets a level of care that eliminates fail-rates associated with automated production. Having a talented production team at our disposal has some enormous benefits. 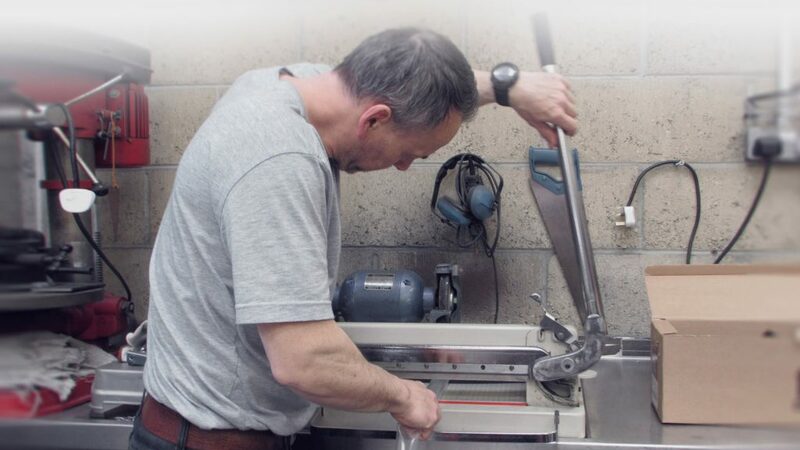 A major one is our ability to rapidly develop and turn around low volume tailor made and bespoke tool safety products. The best way to get started is with a free tethering consultation. Together, the best minds find the best solutions. At Leading Edge we maintain an open collaborative environment. Everyone gets involved with product development. We try ideas out. Experiment. Test. Refine. Many minds make light work of difficult challenges. And we owe it all to an incredible team of height safety experts, product designers, machinists and production staff working together. More than a manufacturer. Specialists in height safety. Above all at Leading Edge we're a dedicated height safety company. It's this foundation that elevates us beyond the status of an ordinary manufacturer. We have decades of technical expertise in working at height and our own production team. And that's why we're uniquely able to create innovative safety-critical equipment.